In the tradition of such Western classics as My Ántonia and There Will Be Blood, Anna Keesey’s Little Century is a resonant and moving debut novel by a writer of confident gifts. Orphaned after the death of her mother, eighteen-year-old Esther Chambers heads west in search of her only living relative. In the lawless town of Century, Oregon, she’s met by her distant cousin—a cattle rancher named Ferris Pickett. There, she begins a new life as a homesteader, in the hope that her land will one day join Pick’s impressive spread. But Century is in the midst of an escalating and violent war over water and rangeland. As incidents between the sheep and cattle ranchers turn to bloodshed, Esther’s sympathies are divided between her cousin and a sheepherder named Ben Cruff, sworn enemy of the cattlemen. Torn between her growing passion for Ben and her love of the austere land, she begins to realize that she can’t be loyal to both. This is a debut novel? Seriously? The writing is lyrical. The story is lovely. Anna Keesey should be very proud of her first book. A city girl homesteading on the high desert of Oregon at the turn of the century. That premise alone is rich with possibilities. Add in the range wars between cattle ranchers and sheepherders and you've got a very exciting tale indeed. Throw in well-drawn characters and a bit of realistic romance? Now you have an absolute winner. 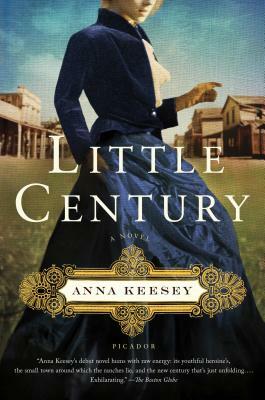 I'm a sucker for good historical fiction and Little Century certainly lived up to my high expectations. I wouldn't call myself a fan of westerns. Neither would I call myself a fan of romance. In both of those cases this book exceeded my expectations. Trust me, that's not easy to do. I found Little Century to be crisp and impressive. Highly recommended. Well this book is now getting added to my to be read list! Thanks for sharing your thoughts. It sounds like a great debut! I don't read much historical fiction, but I might check this one out. Thanks for the review! Oh crap, another one for the TBR. This sounds SO up my alley. Wow, she sounds like an author to keep an eye on. I should have thought of that one! I really liked the older movie version of True Grit, despite not liking a lot of westerns and I do love precocious protagonists, so I'll put that on my tbr list. Thanks Jen! I read it in anticipation of the new movie that came out a year or two ago. I never did see the movie, ha! Anywho, I was very pleasantly surprised by the book. I never read any western historical fiction. Now I'm really curious! This sounds great! The only "western" I've read is O Pioneers! by Willa Cather, and I fell head over heals for it. I'll keep an eye out for this one! Ooh, this sounds really good. Will definitely have to check it out. I've had several friends read and recommend this one, so I know it's one I need to pick up. I didn't realize it was a debut novel! Lyrical? I'm in! I'm not usually big on westerns but this one sounds like it has enough going on that while the setting is important, it's not primary. This sounds kind of awesome. I love historical fiction, and the fact that Oregon is involved just brings back memories of all the oxen I lost fording rivers... Sigh. Those were some hard days Katie...hard days. Sounds like a book that really defies category - an good story, good characters, lyrical writing - that just happens to be set in the West, in the past, and has some romance. Love that! Why have I not heard of this book? I mean, I freaking live in OREGON! I'm putting this on my wait list for the library request list right now! LOL!! This is an absolute MUST READ for you girl! I'm also a sucker for a good historial fiction novel, and this one sounds like something I would enjoy. 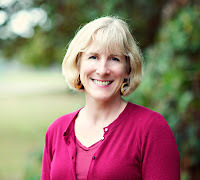 Anna must be a really good writer, to get such high praise from you on her debut novel, on both her writer and her story. I will consider this, most definitely! Thanks for the review. I never would have picked up this book simply based on the cover. But, it does sound good! LOL, Laura will do it to ya ;) You'd really like this one Erin! This sounds perfect for me, I'll check it out. It's hard to find good western historical fiction. Little Century sounds great, I love a good historical. Thanks for the recommendation! You're welcome Naida :) This one would fit the bill for sure. I love when debut novels impress! I'm always so happy for the author. I am a fan of romance, so well, taking into account the good impression you have of the book, I think I would like it even more! By the way, I have to read My Antonia, it's in my list since always!